We’d love your help. Let us know what’s wrong with this preview of Literature and the Cognitive Revolution by Alan Richardson. Since the 1950s, the cognitive revolution has been transforming work in psychology, linguistics, and anthropology. Literary scholars, however, have only recently begun to grapple with the significance of cognitive understandings of language, mind, and behavior for literary and cultural studies. This unique issue of "Poetics Today" brings the concerns of literary history an Since the 1950s, the cognitive revolution has been transforming work in psychology, linguistics, and anthropology. Literary scholars, however, have only recently begun to grapple with the significance of cognitive understandings of language, mind, and behavior for literary and cultural studies. 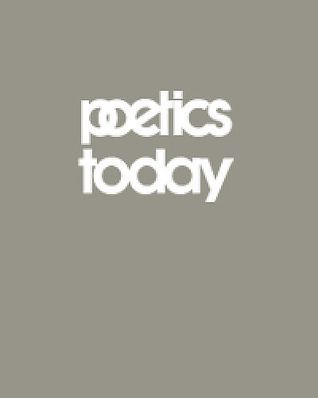 This unique issue of "Poetics Today" brings the concerns of literary history and cultural studies for the first time into a sustained and productive dialogue with cognitive methods, findings, and paradigms. To ask other readers questions about Literature and the Cognitive Revolution, please sign up.